Today is the release date for Lisa McMann's new book! In my opinion, it's WAY creepier than Wake , Fade , and Gone ! Kendall has lived her entire life in the minuscule town of Cryer's Cross, Montana, where everyone knows everyone and the disappearance of one girl rocks everyone. Four months later, the town is still struggling to move forward and Kendall and her best friend and sort-of boyfriend Nico are starting their senior year at their one-room high school. The school year hardly begins before another teen--this time, Nico—vanishes, shattering the town once more. While people are busy pointing fingers and trying to find some sense in the tragedies, Kendall struggles to accept the friendship of new student Jacián and deal with the mystery of what really happened to her oldest friend. It's then that, thanks to her obsessive-compulsive disorder, she observes something perplexing about both missing teens--something impossible, startling, and deadly. Cryer's Cross is creepy, mysterious, and completely absorbing. The intimacy of McMann's small town setting makes this novel especially gripping--and foreboding. Kendall is an excellent protagonist, and her struggles with obsessive-compulsive disorder not only add a whole new fascinating dimension to the story, but the way McMann uses it to uncover a vital clue to the mystery of disappearances in Cryer's Cross is brilliant. McMann also does an excellent job at portraying the relationship between Kendall and new student Jacián. At first, they hate each other, but through the circumstances of the disappearances and the tumult of emotions affecting the both of them, they slowly work up to friendship, and both are able to help each other in unexpected ways. 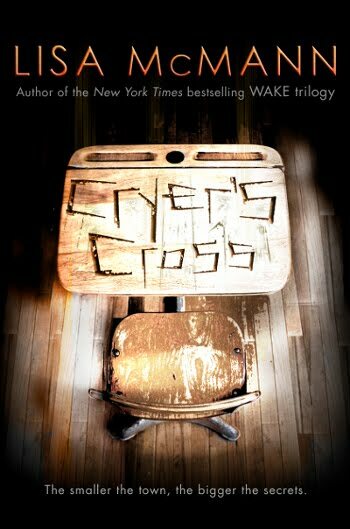 Cryer's Cross is peppered with snatches of narrative from the force behind the disappearances, which gives the story extra urgency and suspense, so by the final chapters, you'll hardly be able to keep still. Tragic, emotional, sometimes humorous, and full of tension, Cryer's Cross is one stand-out novel and possibly Lisa McMann's best book yet. Cover Comments: CREEPY! I love it. It's so perfect for the book, and it will have you shivering when you read the book and make the connections. So perfect. This was a fantastic book! I loved it! Great articulate review! bactisLooking forward to this one!